Together, we are making history! 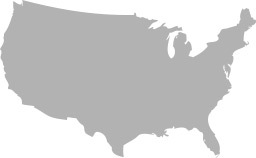 On September 17, Ron Paul's Federal Reserve Transparency Act (introduced this Congress by Representative Paul Broun), better known as Audit the Fed, passed the U.S. House of Representatives by a vote of 333-92 - even higher than our 327-98 total from 2012! Audit the Fed is continuing to build momentum and gain wide bipartisan support, and it's time for Senate Majority Leader Harry Reid to stop blocking Fed transparency and hold a vote on H.R. 24 or its Senate counterpart, S. 209, introduced by Senator Rand Paul. Thanks to our members, Campaign for Liberty has been able to stay on offense regarding this issue and turn up the pressure on the Senate to act. If you haven't yet, join C4L on Facebook and Twitter for the latest on Audit the Fed and C4L's other efforts. 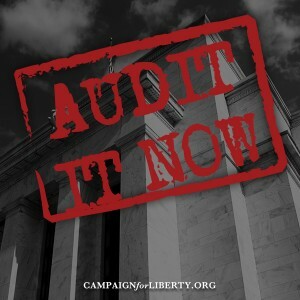 Be sure (also if you haven't yet) to sign our Audit the Fed Fax Petition to your U.S. senators! And if you're able to pitch in $5 or $10 at this time, it would be greatly appreciated as C4L continues its work to defend freedom on the federal, state, and local levels!